A Bibliography of Primary Texts: Keith Newlin's bibliography of primary texts "presents a complete bibliography of Garland's books, ordered by date of first publication, together with scans of the covers and title and frontispiece pages. Only those reprintings which alter the original through revision, change of publisher or pagination, variant cover, or the deletion of illustrations are included. The bibliography ends in 1940, the year of his death, so modern reprints are not included." A Bibliography of Newspaper References by & about Hamlin Garland: Lonnie E. Underhill's bibliography of newspaper articles chronicles "Garland's numerous achievements that found their way into the newspapers" and can, in the future, "serve as a central depository to which scholars may contribute as additional references are discovered in newspapers." USC Digital Library: The USC Digital Library offers access to Garland's letters. Indiana Historical Society See especially the Judah-Brandon Family Papers. This collection concerns the family of John Mantle Judah (1848-1936) and his wife Mary Jameson Judah (1851-1930); the finding aid describes letters which mention Garland. See also: Riley and Tarkington collections. 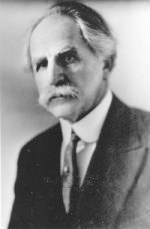 Hamlin Garland's Literary Creed -- a discussion of Garland's take on "local color," "veritism," and literary impressionism as reflected in his short story "Up the Coulé." Editing Hamlin Garland -- a brief overview of what's involved in deciphering and editing Garland's letters. Garland on film -- a rare 1937 clip from a biographical film made of the old duffer. Index to Hamlin Garland's A Daughter of the Middle Border--Lonnie E. Underhill's index is based on the Gosset & Dunlap 1921 edition, reissued 1926. Hamlin Garland Memorial Highway, Brown County, S.D. John Ahouse's photo-essay of the Garland homestead (West Salem, Wisconsin). Mitchell County Historical Society (Osage, Iowa)The Mitchell County Historical Society cares for the the former Cedar Valley Seminary, where Garland received and education from 1876 to 1881. The society maintains exhibits devoted to Garland among many others. The American Literature Association website is a central clearinghouse of information about societies devoted to the study of American authors.